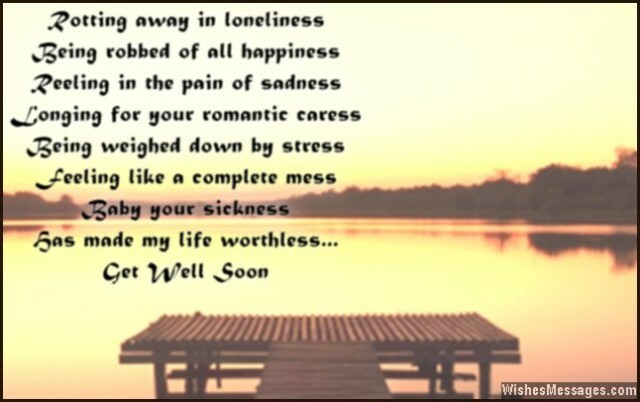 Get Well Soon Poems for Girlfriend: Help your girl recovery quickly by giving her a daily doze of hugs and kisses. 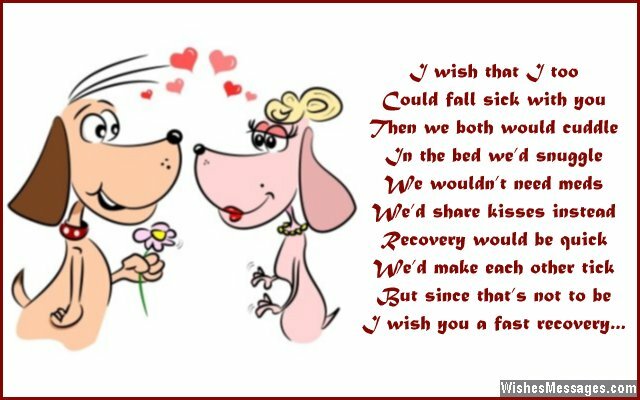 Write a romantic poem on a handmade greeting card. 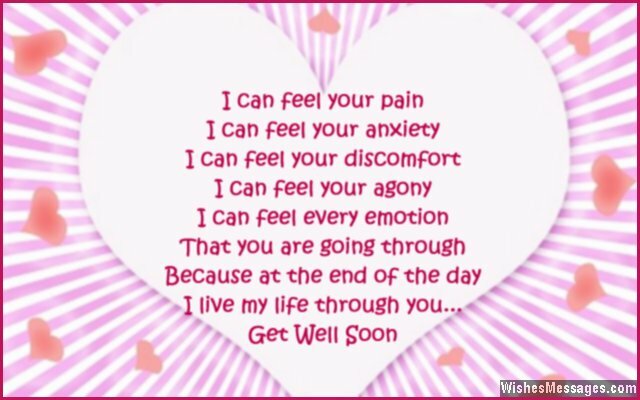 Send it to her along with a gift and some flowers. Add to this romantic charm by posting sweet quotes on her Facebook. Tweet out the funniest things so she can have a chuckle while recuperating in the hospital bed. You will be amazed at how just a little bit of care can bring a beautiful smile on her face. All this pampering might seem silly at the onset but these are the cute little things that make for the most precious memories. Go on, give her a reason to smile and the inspiration to feel better from within. There are fewer better ways to make her feel better than to remind her that her boyfriend is waiting for her… with his arms wide open.